All the episodes from the fourth series of the BBC drama starring Aidan Turner as Captain Ross Poldark. 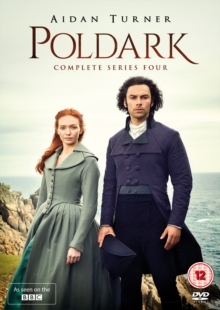 After spending three years fighting in the American War of Independence, Poldark must rebuild his life in the small Cornish copper mining town he calls home. However, when he finds his father dead, his estate in ruins and his childhood sweetheart Elizabeth (Heida Reed) engaged to his cousin, the life he once knew seems to no longer exist. With the help of his new maid Demelza (Eleanor Tomlinson), Ross attempts to navigate the hostile, poverty-stricken locals and the region's wealthy and influential businessmen to reopen his family's disused copper mine, Wheal Leisure.